Sculpture, traditions and nobility all packed under one name, that is, Kolhapur. It is well known for its lively inhabitants. 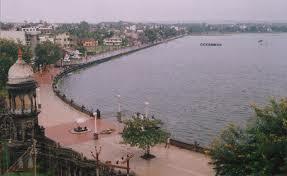 Kolhapur is one of the largest cities in the state of Maharashtra known for arts, culture and aristocracy. It is situated on the banks of River Panchaganga among the Sahyadri hills. It has a rich past from the mythical times through the rule of the Satavahanas and the Shilaharas, the Mughals and the British. 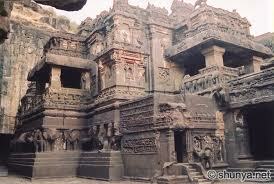 As a modern city, it attracts a large number of tourists and Kolhapur tourism is renowned everywhere. Its persona gives it the distinction of being one of the most visited places in Maharashtra and there are innumerable Kolhapur Tourist places. Places to visit in Kolhapur are many such as the Mahalaxmi Temple, Binkhambi Ganesh Mandir, Kolhapur Museum, Bhavani Mandap, Jyotiba Temple, Rankala Lake, Irwin Agricultural Museum, Shahu Maharaj Palace Kolhapur, Shahuji Chhatrapati Museum, Narsobachi Wadi, New Palace Museum Kolhapur, Khasbag Maidan, The Kopeshwar Temple, Maharaja’s Palace, Shalini Palace Kolhapur etc. Kolhapur places to visit include temples, palaces, architectural marvels, museums, lakes and many other points of interest with great views and scenic beauty. Places to visit near Kolhapur are Ichalkaranji, Bhudargad, Kagal, Gadhinglaj, Shirol, Gaganbavada, Chandgad, Ajara, Hatkanangale, Gagangiri Maharaj Math, Radhanagri Dam, Nrusinhawadi and Panhala Fort among others. These places to visit around Kolhapur pack in history, culture, good old architecture, great scenic views, lakes, forts, museums, and staying places. 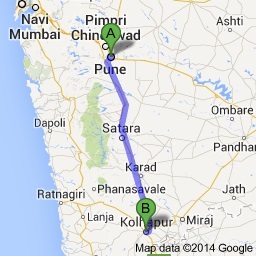 They provide more reasons as to why one should visit Kolhapur. Mahalaxmi Temple was built in the 7th Century. It is dedicated to Goddess Mahalaxmi, the Goddess of prosperity. It is a pilgrimage site for many. Town Hall Museum is one of the chief attractions in Kolhapur and is must visit or those wishing to know more about the city. 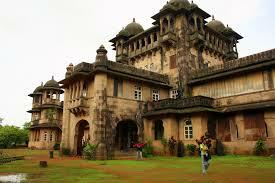 It contains objects and artifacts from the city’s past and highlight’s all that Kolhapur is famous for. The Bull Statue at Kaneri Math. It is the carrier of Nandi Maharaj. The statue signifies the importance of the Maharaj in the local history and in folklore. Rankala Lake is a must visit if one is in Kolhapur. It is simple mesmerising and captures the authentic and unique beauty of the region. Statue of Queen Tarani is dedicated to one of the most important figures among residents of Kolhapur. The statue commemorates her life and is a tribute to her legacy.